Charles Grantham was named director of Seton Hall’s Center for Sport Management in 2016, succeeding Founding Director Ann Mayo. Grantham has extensive experience in professional sports, having served as executive director of the National Basketball Players Association from 1988 to 1995. As a principal negotiator, he helped to establish the league’s four historic collective bargaining agreements and was an architect of the industry’s first revenue.sharing/salary-cap business model. More recently, Grantham served as a consultant in the Ed O’Bannon vs. NCAA lawsuit and has represented NBA players including Charles Oakley and Amar’e Stoudemire. Seton Hall magazine editor Pegeen Hopkins spoke to Grantham about the state of sport management and his plans for the Seton Hall program. What are the biggest changes you’ve seen in the sports business over time? The demand for live sporting events has enabled the major sport leagues, the NCAA and its conferences to command lucrative rights fees for content. This revenue is generated by televising sports — through national networks, super stations, local cable stations and pay-per-view. Sports organizations were looking for a reliable, growing source of revenue; television has done that — with both college and professional sports. Today, ESPN and other carriers are televising high-school sports. Re.member, just a year or two ago, we had a young girl from Philadelphia pitching in the Little League World Series. She was an outstanding player and became a national figure — all brought to you by television. What innovations will be disruptors moving forward? 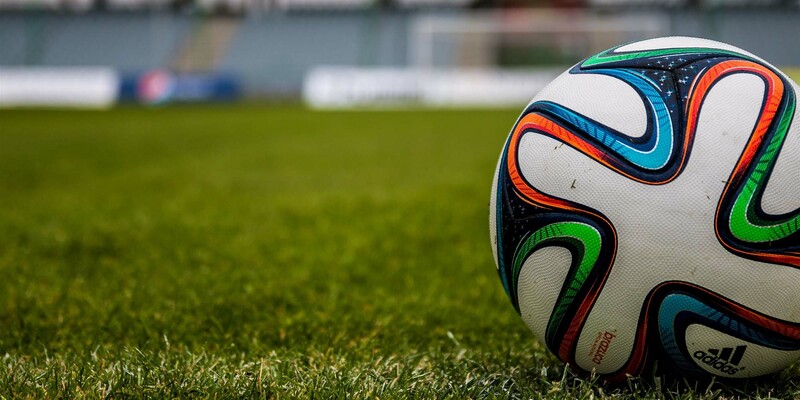 Technology and business analytics are having a significant impact on all sports. Recently, the Chicago Cubs won the World Series. The players performed well and were victorious. But the architect, the individual who put the team together, was the president, Theo Epstein. Epstein’s background is analytics. He has successfully used analytics and technology in the business of sport — in this case, baseball — to create a championship team. Every sport is looking to make analytics applicable. Some are more accepting than others. The challenge you see in various sports is: How do you use this data to forecast how good a player will become? And how much is that player worth based upon their statistics and prior experiences? This approach works well in baseball because it is statistically based. Other sports, like hockey, may not use it as much, but analytics clearly have made an impact on the sports business. How has social media made an impact? Social media raises questions about how the platform is managed. For example, players have used social media while sitting on the bench or before a game starts. This has led to rules and regulations governing social-media use in sports and on teams. Are these rules part of general team rules? Or will these rules be negotiated with players after determining they are fair and reasonable? Social media will have an impact on the workplace. 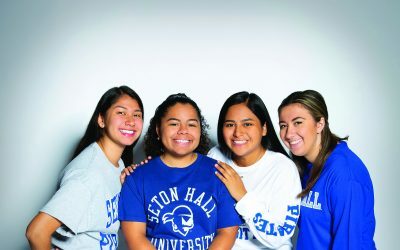 What brought you to Seton Hall? 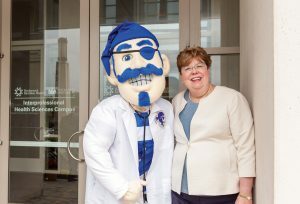 I have worked at Seton Hall as an adjunct since 2004. It was a major attraction for me that Seton Hall’s sport management program is in the Stillman School because sports is business. I have great respect for Ann Mayo, who started the program and the Seton Hall Sports Poll. The opportunity to build on what Ann began was appealing and she was supportive. We hope to expand the program to collaborate with and include other disciplines: the college of education, the law school and the new medical school. Sports media is also an integral part of the sports business and is an opportunity we hope to pursue.